Weren't they on TBS last season??? That marks the initiation of their descent. 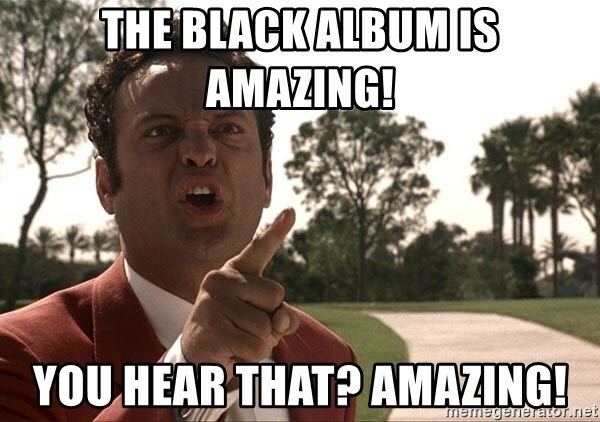 They reached terminal velocity with St. Anger, but the black album was....I'm sorry, I still can't talk about it. Yes. It's a wildly misleading number. This was the lowest-rated title game on CBS since 2012. Better number is CBS 2019 vs CBS 2017. This is a 15% drop-off. Of the 18 title games aired by CBS proper this century, Monday ranks 11th in viewership. Not the total tank job that so many were hoping for. “Shortly after Jerome had 16 points, eight assists and six rebounds to help Virginia to an 85-77 overtime win against Texas Tech in Monday’s title game, he took a jab at ESPN’s loudest personality, who isn’t a fan of the Cavaliers’ deliberate, defensive-minded style. “I just feel bad for Stephen A. Smith,” Jerome deadpanned to Sports Illustrated’s Andy Staples. “He said he hated watching us. And he had to watch us every single round of the tournament. I feel so bad for him. It must have been so hard for him." That Smith is the star of ESPN and Trump is President tells you all you need to know about the destruction of the human race. But not the lowest ever, as was widely predicted. Ratings clearly surpassed expectations. Kind of like the winning team. The thought that some casual fan who can name perhaps one college player (Zion) would have not watched this game but WOULD have watched if the losing team had "Kentucky" on its jerseys just fascinates me. If they move to a better conference, the hurdles they have to clear to make the tournament are considerably higher. Once you get there, two wins get you to the Sweet Sixteen. Ask Gregg Marshall about moving up.